Harmonious and refined, this Mirabelle Liqueur will seduce you with its character and typicity of mirabelle plum. It will be ideal after a meal or for the elaboration of an aperitif. 70 cl bottle delivered in an individual gift package. 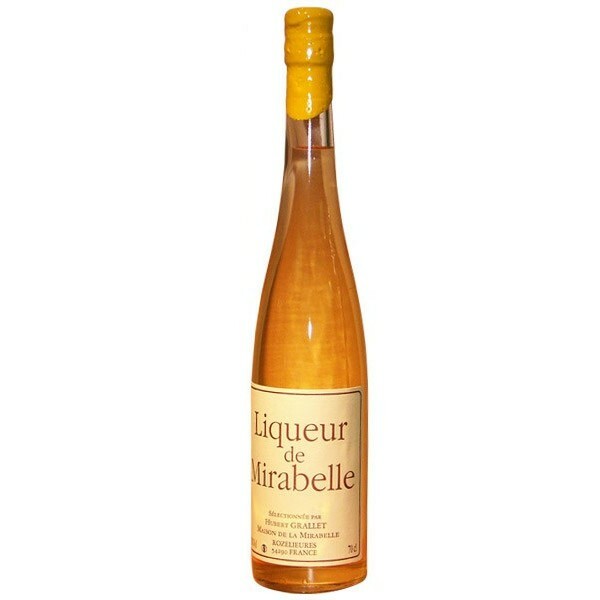 Our Mirabelle liqueur has a golden yellow colour. Its refined, sweet fruity taste leaves in the mouth a powerful bouquet of honey taste. 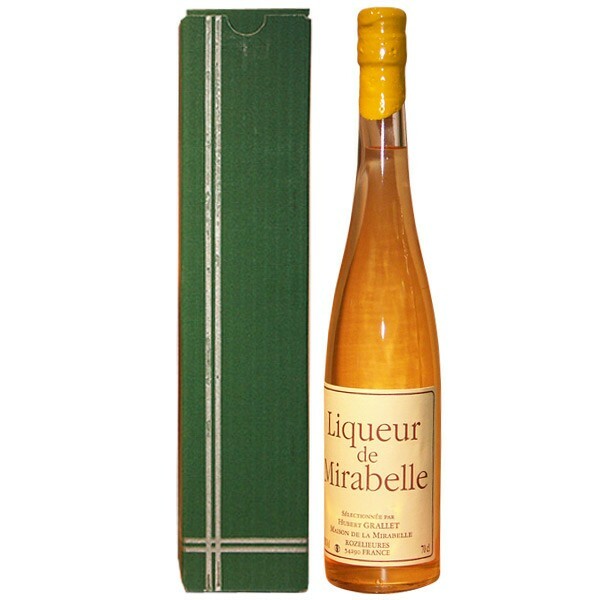 It is made with Mirabelle eau de vie and obtained by maceration of this typical fruit of our Lorraine region. Alcohol: 30% vol.